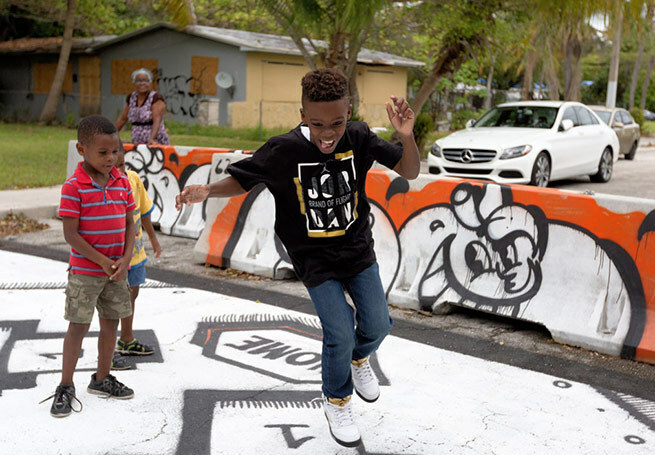 iPlay MIAMI Streets worked with the City of Miami to turn three dead-end streets into play streets. 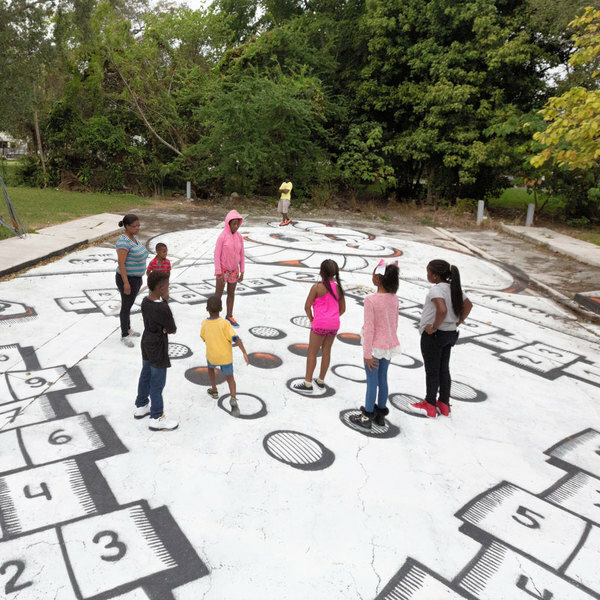 A kickball and baseball field, hopscotch and games such as Twister are now available to kids and families as they make their way to school. 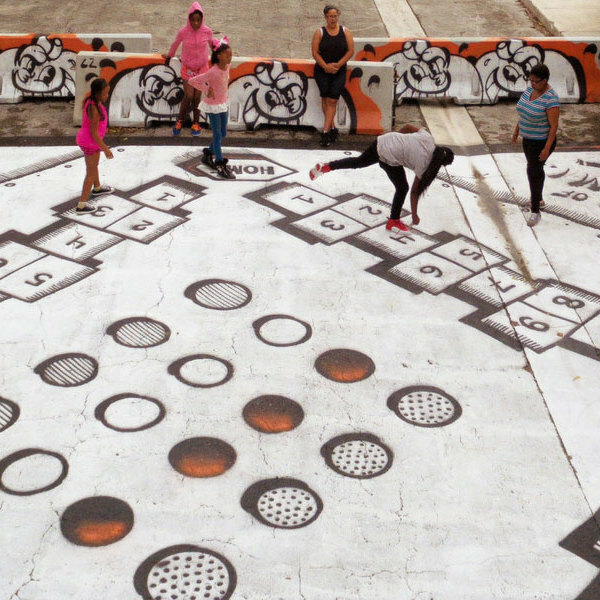 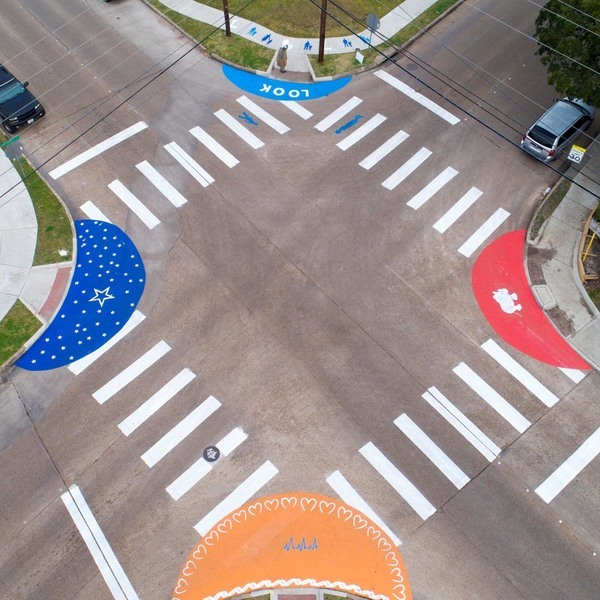 The games are painted on the street pavement with semi-permanent, colorful paint. 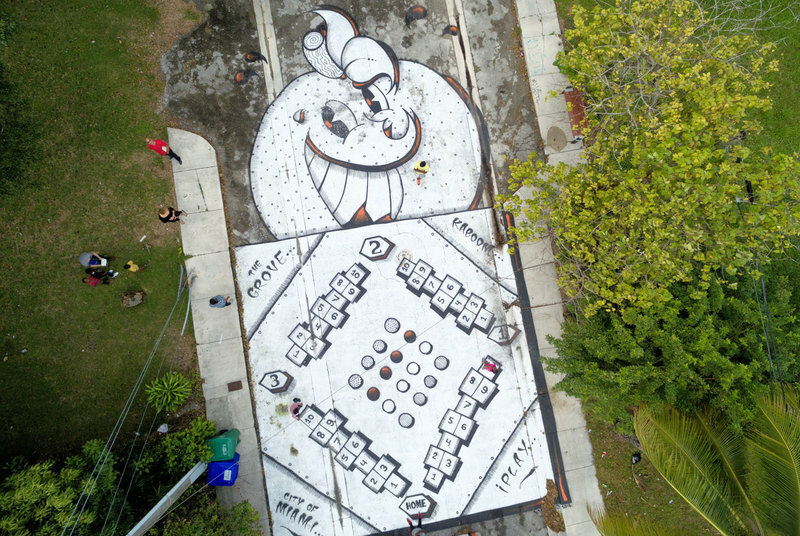 The game designs also incorporate a cultural or educational motif. 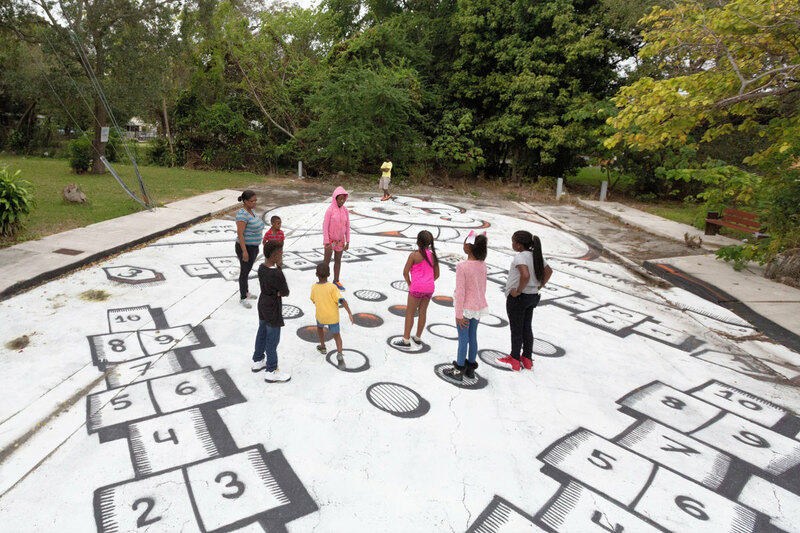 iPlay MIAMI Streets encourage exploration and imagination, while challenging kids and adults of all ages and abilities to play in new ways. 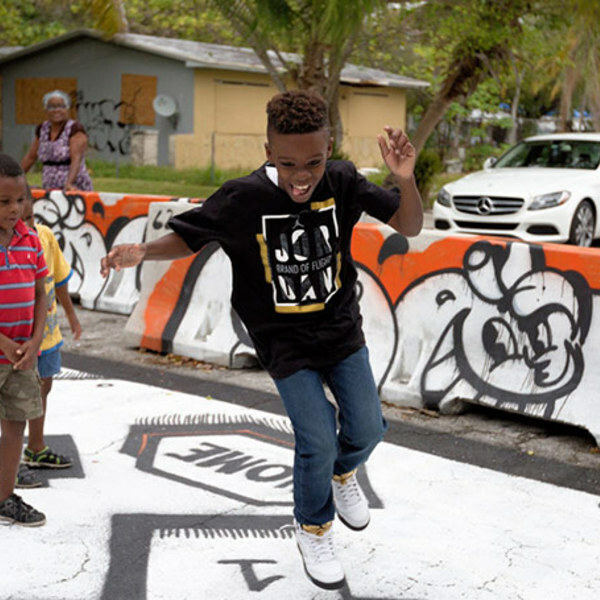 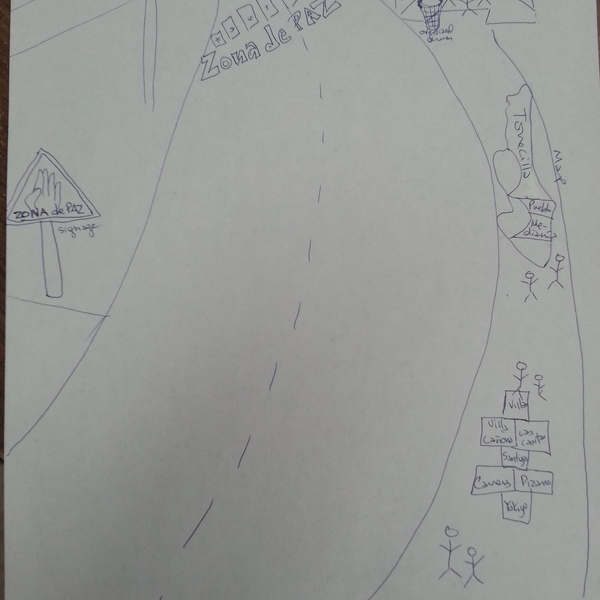 Each of the locations selected for iPlay MIAMI Streets improved the community. 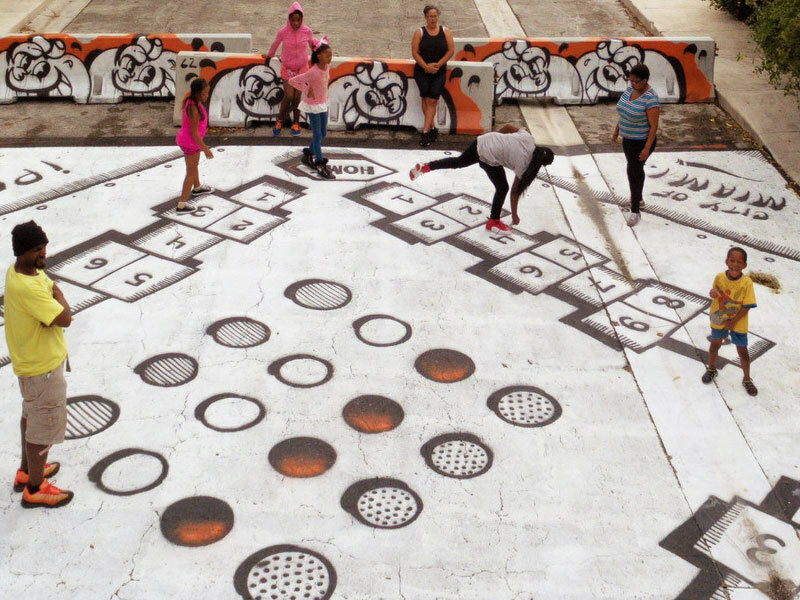 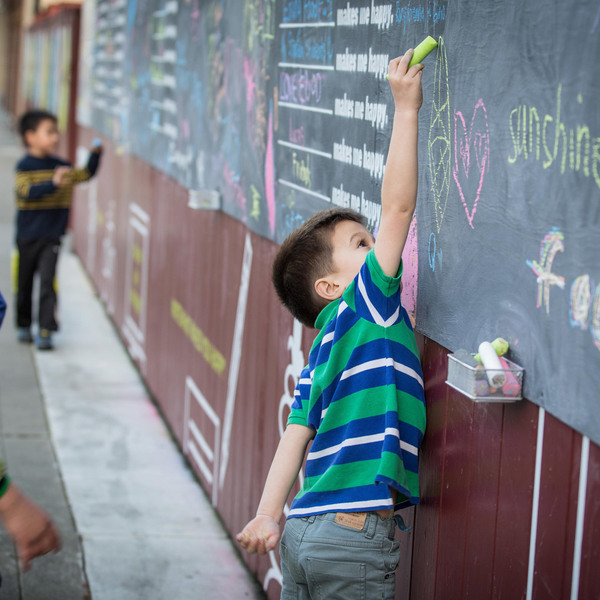 What was once a dead-end site used for illegal dumping and drug use is now a playspace that encourages kids to go outside and interact with each other.